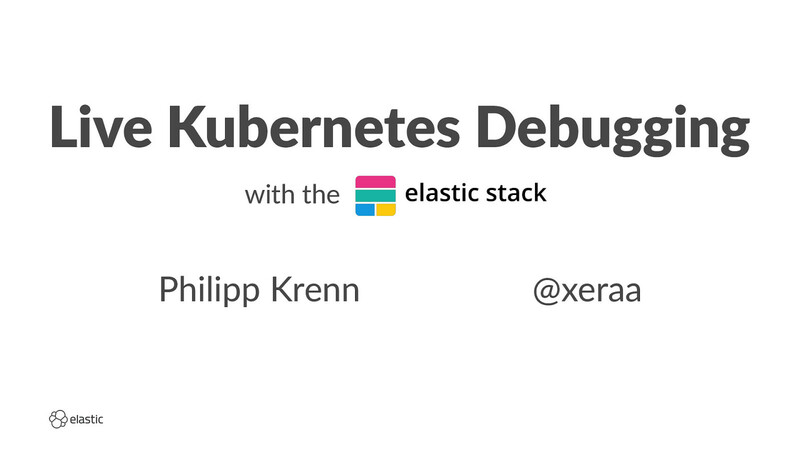 View Live Kubernetes Debugging with the Elastic Stack. Your Kubernetes app is down. Your users start ranting on Twitter. Your boss is standing right behind you. What do you do? What do your health checks say? Where does your monitoring point you? Can you get more details from your application’s traces? Is there anything helpful in the logs? What the heck is even deployed? We are using the open source Elastic Stack in this demo with a special focus on its Kubernetes integration with metadata enrichment and autodiscovery in combination with APM/tracing, metrics, logs, and health checks.